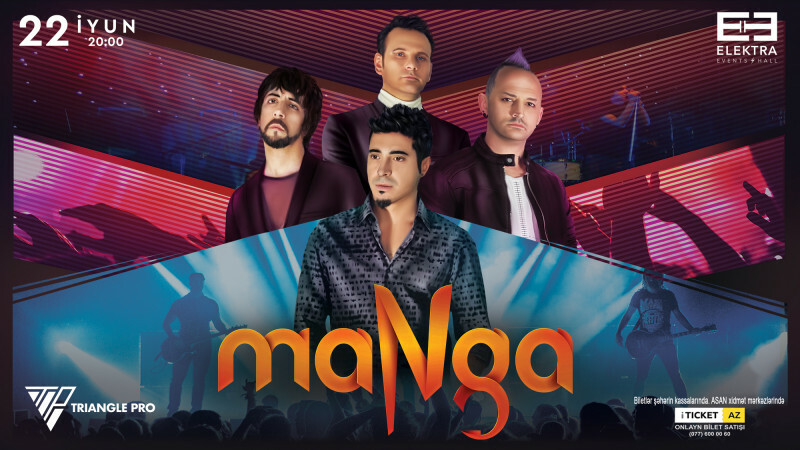 maNga in Elektra Events Hall buy tickets online. Delivery of tickets for the event maNga. On 22nd of June, at 20:00 the winner of MTV Europe Music Awards, the runner up of Eurovision 2010 International Song Contest, Turkish alternative rock band maNga will take the stage at Elektra Events Hall. The band will sing their popular songs together with you. Two rows (Zone 1 & 2) will be located in front part of the general zone. There is a limited number of ticket sales for these rows and they will be separated from the other part of the general zone with barriers. To watch the concert from the uncrowded forefront rows rush to get the tickets.